I’ve been fairly busy of late. Well, I say busy, but I’ve been on the beach for a week. All in the name of work. It does mean I’m away from the computer for a while and then I spend my days off chasing my tail. Of those days off it was our anniversary. We went to the Lake District. In my eyes, the most beautiful place on earth. (See below) I get more excited about this place than I do about food! If you live in the south of England and have never been, quite simply you’ve not lived. 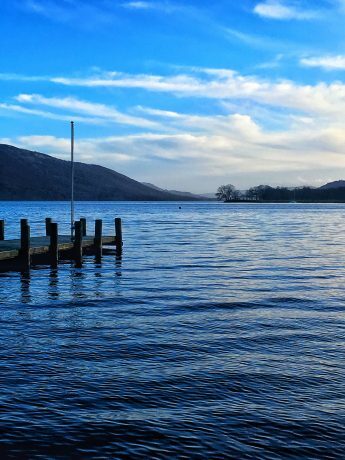 Coniston water is home to a truly heroic, but ultimately fatal story. The story of Donald Campbell who set the high speed record for a boat. He was doing approximately 300mph on his first run. For any speed record you must do the run twice and an average is taken. He turned his boat around, but was too impatient to wait for all of the waters to calm again. Hence doing over 300mph he hit his own wake on the return leg. This flipped the boat upside down and it broke up on impact. Sadly his body was never found. These photos are my own taken last week. People have already said where did I get them. It’s just the way the Lake District looks on a good day. I just turned up and put the sun behind me. Enough of todays history lesson. I made this dish way back in August. There’s going to be more posts from a long time ago soon as we are just about to embark on a new kitchen. I’ll be cooking the finest meals known to man from my humble little 700w microwave. I’ve not even thought about it yet, so anyone who has been through this torture and has some words of wisdom let me know. All before and after photos will be coming, obviously. Mix the miso and mirin together with a touch of oil if it’s too thick. Rub this into the chops and marinade for 2-24 hours. To cook, you can barbeque it to get a lovely smoky flavour. Or just cook as any chop in a frying/griddle pan. Approximately 3-4 minutes per side. For the aubergine caviar. Place the aubergines into some tin foil. Sprinkle with salt and sugar and bake at 200°C Fan for 35-40 minutes until cooked through and caramelised. Whilst they are in the oven, soften the onion in some oil with the garlic, ginger, cumin, coriander root and powder. Once the aubergine is cooked, remove the flesh and add to the spices. Use a stick blender to puree everything. Add the coriander leaf and a touch of yoghurt if liked. Serve with some steamed rice and bak choi, coated in oyster sauce and sesame oil. I was a bit curious how you candied the eggplant! A beautiful meal, as always. Good luck with the kitchen. Such a terrible experience but with a great ending! I’m so glad I’ve been to the Lake District. We stayed on Lake Conistan and walked and walked the paths all around that area. Just beautiful. Did you know that sticky toffee pudding originated there?!! Hi Mimi, the candied bit just helps caramelise it. This then lends itself to the spices once pureed. Yep, we knew about sticky toffee pud. We went to Cartmel a few years back where it was from. If you ever re-visit, Cartmel is now a foodie heaven. A two-michelin star restaurant, a brilliant cheese shop, great bakery and you’re the edge of the lakes. Heaven. What a tale! And great shots. I look forward to seeing how you are imaginative with your microwave. I recall my Mum had a cookbook in the 70s on using the humble microwave, so I am sure you will find something beyond a packet to pierce and wait for the ping! Good luck with the kitchen. Hi Neela, I’m sure I’ll be able to rustle something up. Maybe not every night though. We have just been through getting a new kitchen. It’s wonderful, it’s awful… give yourself all the time you need to discover where things will now belong, what things you no longer need is huge, dump them, yard sale if you must. The way you cook has changed, recognize this and refit your kitchen accordingly. Best of luck! Cheers!! Thanks Mark. Sounds like a life changing event for a cook. I am so excited for you, a new kitchen will be wonderful. We added 3 square metres to our kitchen (knocking out the back wall) so it was a bit more extensive. The best advice I can give is to prepare as much in advance and freeze it. I had some pizza dough, soups and very rarely, packaged food, like macaroni and cheese! What a lovely dish, the candied aubergine sounds wonderful. The miso glaze looks amazing. 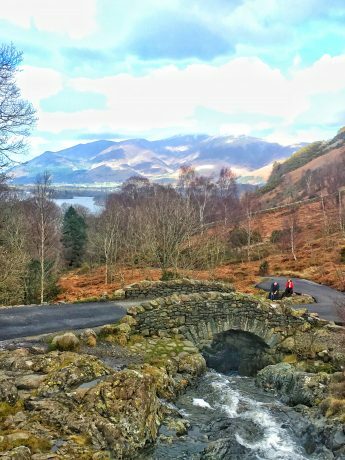 Gorgeous photos of the Lake District, happy belated anniversary. A belated happy anniversary. I hope the two of your get to spend many more loving years together. 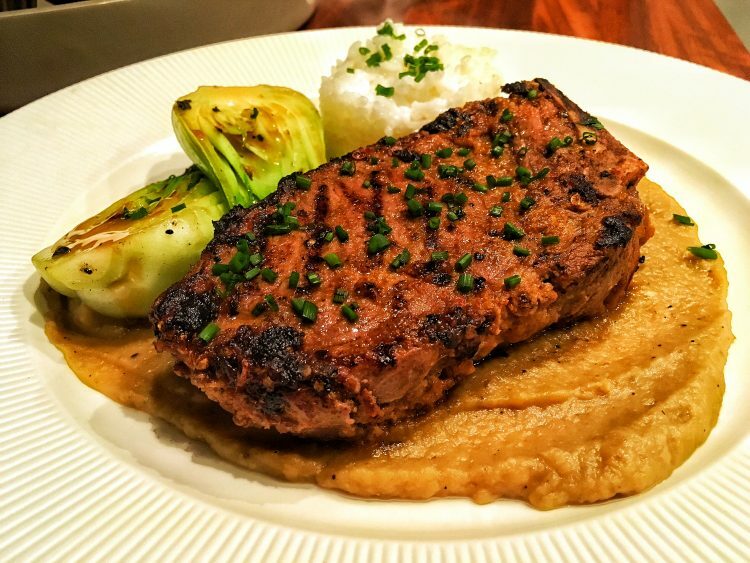 Your meal sounds delicious, you always have a way of making a dish special. If you have an outdoor barbecue, that can be used for a lot of your cooking just like you would use your cooktop or oven. Good luck with the renovation. What a gorgeous part of the world and what a sad story about the lake. Just the words candied aubergine puree make me happy. That’s a beautiful meal. If your past is prologue, you’ll find a way to make spectacular meals from a microwave. The new kitchen is very exciting! 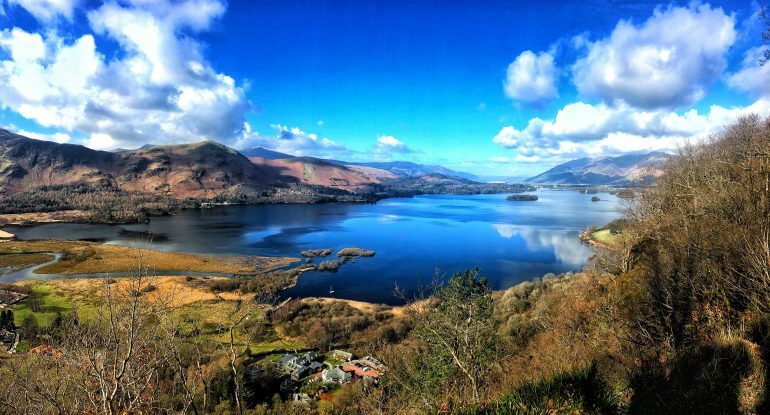 Stunning pictures – the Lake District can be sich a show off on a sunny day! Good luck with the kitchen, I guess focusing on the end result will help you get through the rough bits. Lovely combination of flavours you’ve got there! Im a foodie who thoroughly enjoys reading your posts, I tend not to post much myself. Lake district, I agree is breathtakingly beautiful! I just wanted to suggest a few dishes you could make in a microwave as I was once in a similar scenario moving house.. incidentally did you read the recent study which found microwave cooking the best for retaining nutritional value in vegetables? Crazy. Anyway, I had a few meals which I relied upon during my stint as a pinger. Im sure your aware that all vegetables can be made in the microwave, in a little water and cling filmed. The same can be done with fillets of fish, in a little stock/wine with herbs etc, and an emulsion (eg buerre blanc, caper butter sauce or whatever flavours youd like) can also be easily made. Another delicious thing is light stews using chicken that you buy roasted. Flake it into a bowl along with passata, chilli, coriander, quartered tomatoes, shredded oyster mushrooms, so versatile, can add anything including chilli oil, sesame oil, olives, any herbs or finely sliced vegetables, the options are endless.. I managed to get fairly reasonable scrambled eggs, using cream and butter and by taking it out and stirring every 10 seconds, cooking for about a minute and a half in total. There were more but Im all out of type, have a great day. Hi Alex, thanks for the handy hints. I’ve done scrambled eggs plenty of times in the microwave so that is our luxury weekend breakfast. I rustled up a delicious crayfish, mango, avocado and smoked chicken salad this week. My salad brain has gone into to over drive just as the rain has returned!